Conor McGregor wanted an immediate rematch versus Khabib Nurmagomedov after UFC 229 loss. Unfortunately, Khabib and his manager are not interested at all. Also, “The Eagle” has to wait for the NSAC decision. It is hard to expect Khabib Vs Conor 2 will happen anytime soon. As well as you know, Anderson Silva accepted Conor McGregor’s callout. But it would mean Conor McGregor has to gain a lot of weight. He has already fought in UFC Welterweight division versus Nate Diaz. But it is very hard to believe “The Spider” could go under 170 pounds! Antonio Rodrigo Nogueira is the former Pride superstar. He is known as one of the rare competitors who gave a hard time to Fedor Emelianenko during his golden era. “Big Nog” is also remembered as the former Interim UFC Heavyweight champion. His best submissions were armbar, triangle choke, and anaconda choke. Do you agree with Antonio Rodrigo Nogueira? After all, Conor McGregor is ready to do everything for cash. It is hard to believe he is joking about a super fight! One thing is certain – Anderson Silva has one of the best front kicks in the history of UFC! Remember what he did to Vitor Belfort at UFC 126 in the first round! 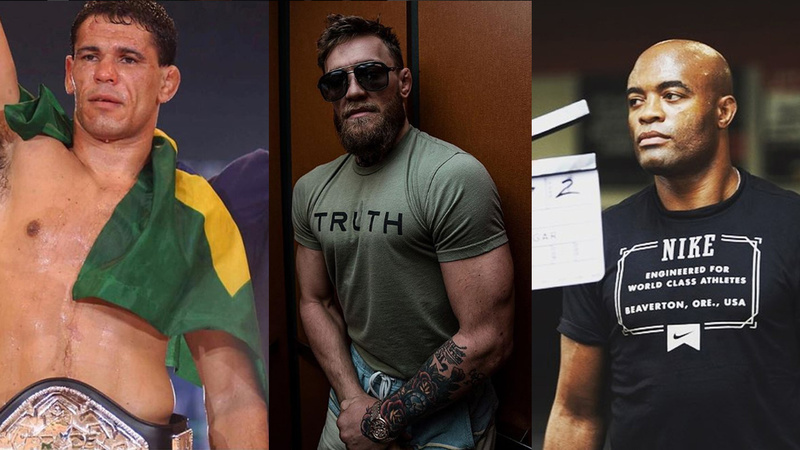 Conor’s left straight punch is his strongest weapon. On the other hand, the front kick is one of the best counters against left cross! Conor should keep his hands up and protect his chin well if he wants to stay away from Silva’s dangerous left front kick!